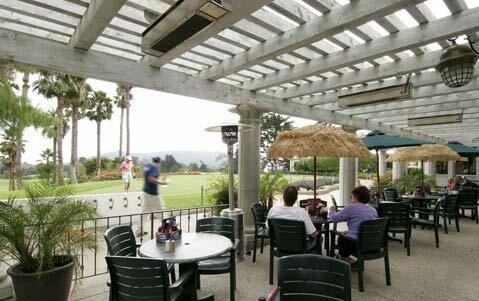 You won’t need a do-over if you opt to breakfast at Mulligan’s Cafe (3500 McCaw Avenue, 682-3228), located in the clubhouse for what true Santa Barbarans still call Muni (the Santa Barbara Golf Club). Rule #1 at Mulligan’s: Sit outside. Generally you have to pay extra to be a member someplace to soak in golf course views (here reaching all the way to the Pacific on a clear morning). Rule #2: Come hungry. Lani’s omelet (Mario and Lani Medina have owned the place since 1993) contains, or perhaps I should say bursts with, bacon, sausage, ham, green pepper, onions, tomatoes, and cheese. It’s topped with guac. Afterward, you will be done eating for the day. Other favorites include the breakfast burrito spiced with a fine homemade salsa and, ever-popular with diner aficionados, the biscuits and gravy. The weekend menudo is rumored to be terrific, too. Best of all, even the most expensive item, ranch steak and eggs, will only set you back $9.99. Mulligan’s is hard to beat for a straight-ahead meal to start your day.